Are you in the process of planning your wedding in Maberlla, or for those looking for Mediterranean inspiration, here we present you our favourite Marbella venues. In Marbella we are sure you will find one of the best wedding reception venues in the world ! From a gorgeous dinner right in the middle of the sea to a lavish celebration in a luxury hotel. With seemingly endless wedding venue options to choose from, it’s hard to narrow down your choices and select a spot that aligns with your budget, location, and style criteria. 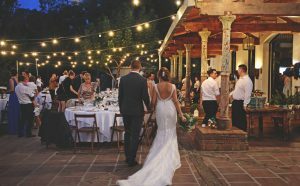 Lucky for you, we did the research and legwork, scouring Marbella area to compile a master list of wedding venues that are our go-to recs, year after year. From mountain with panoramic views, rustic-glam fincas to chic beach club at the mediterranean shore, we’ve got a wedding venue for you, your groom, and your style. From idyllic beach settings to more intimate affairs at rustic fincas in the countryside, Marbella has it all. Whether you want to spend your special day in a lavish villa or a luxury hotel, Marbella can cater for your individual needs. Wedding season in Marbella kicks off in March and ends in October but June and September are the most popular months due to prime weather conditions, so be sure to book your venue well in advance! You are spoilt for choice when it comes to finding a Marbella wedding venue, so we’ve compiled a list with some we think are the top wedding venues in Marbella. Marbella is the ultimate destination to have your reception if you’ve always dreamt of running off to Mediterranean sea for an intimate and private ceremony. You can choose from romantic ceremony locations amongst the beach during sunset, the magnificent horizon-edge pool with an exquisite location and friendly hospitality, Marbella makes for one of the best wedding places in the world.